My mum has been ill for the past few months and it’s taken a toll on her physical well-being but even more so on her mental health. She has been unable to go to work for 6 months and has only recently begun to make a phased return. For someone who used to be able to go to and from work four days a week working two jobs, her illness left her in fear of moving outside of the house for a long time, in case of another episode or attack. She’s suffering from an inner ear infection called labrynthitis, which upsets your stability and balance to give you the constant feeling of Vertigo, where you are unable to move or even lie down without feeling like the entire room is spinning around you constantly. The morning after a drunken adventure is rough, but imagine experiencing that for 6 straight months and from a selfish point-of-view, it really hurts when the parent-child relationship changes and you end up being the one to help your mum walk to the bathroom because she isn’t able to any more. Alongside that, she is going into something I knew nothing about called perimenopause or menopause transition. As a man, I’ve never understood what it feels like to have a monthly period, to experience the physical toll or hormonal roller coaster that it puts the body through. It’s not pleasant to hear about, but finding out about how the debilitating symptoms of this condition can be, it isn’t making her recovery any easier. However, at least we know what the problem is now and there are ways to treat it – but it will take time. Nonetheless, comparing my mum now to how she used to be, it’s painful to see how she’s lost all her confidence, she’s been taken over by anxiety and a dreaded state of panic, whereas before this she was one of the most powerful and strong-willed people I’ve ever met. She did everything she possibly could to make sure she could take care of my sister and me. As a girl who grew up in a very traditional and loving family in South India all her life, she was made to move across three separate countries in three separate continents, uprooting her away from all her relatives and loved ones she grew up with – to new places and environments, learning how to adapt to life in Libya and England. To do that at the age of 18/19 in the mid 1980s was not conventional and not a very pleasant move either, given the soured relationship she had with her husband. Surviving the outfall of that break-up, she nonetheless made sure she stayed in England until me and my sister completed our education – which wasn’t an easy move. 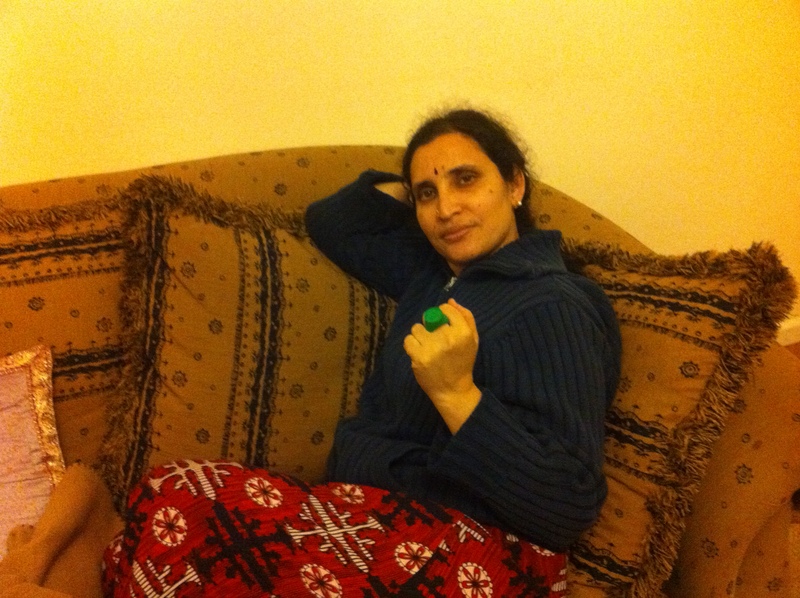 It wasn’t the best possible scenario for her, she could have easily tried to get us to move back to India but she chose to stay instead – not wanting us to be uprooted yet again. She sacrificed all that for us and I don’t ever treat her the way she deserves to be, I just end up being a horrible son who shouts at her for pointless and meaningless reasons. I’m aware that I’m only 22 years old, but that just leaves me more confused. I’m an adult for all intents and purposes, so I tell myself that I should be there for her no matter what, to take care of whatever need arises and provide for the household in whatever way I can. But on the other hand, I tell myself “you’re only 22, you’re really nowhere near any state of emotional or mental maturity to be able to handle this situation.” But is that just a cop out excuse? So why the title of this post? As I’ve hopefully explained already, my mum used to be a very strong, motivated and courageous person. Now, after the onslaught of all these diseases hitting her, she’s lost that aspect of her life. She used to be that person, that if there really was a Green Lantern Corps, The Guardians of the Universe would have had no choice but to send a power ring her way and make her one of their Emerald Knights. That’s the level of mental strength and character she possessed, which made her one of the most courageous people in my life. 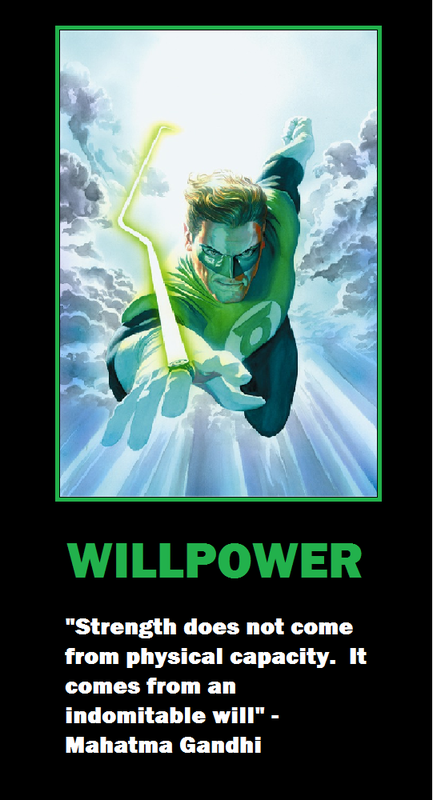 I just wish she had that mind state now, where willpower was all you needed to keep going. 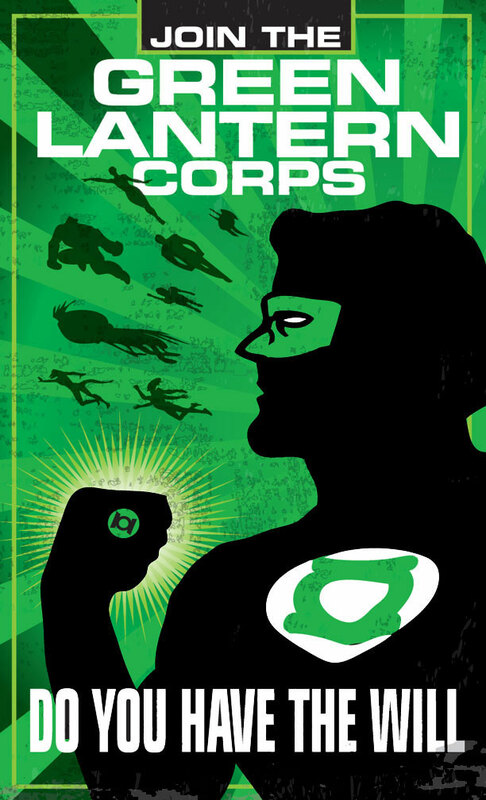 Green Lanterns aren’t necessarily strong, athletic or intelligent – it’s their courage that makes them special. 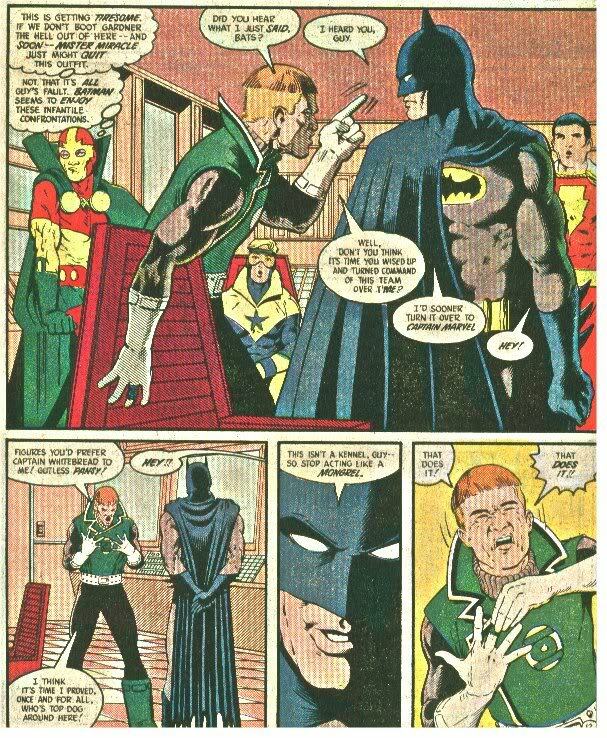 Lord knows Guy Gardner wasn’t a smart or loving Lantern, he was hot-headed and brash, but his sense of will was so powerful it couldn’t be ignored. My mum’s mental sense of self has weakened, and her physical well-being has diminished too as she’s gotten older. From being super-mum who could carry 8 bags at the same time and walk home from Tesco (impressive for a lady who’s only 4’9) these are the moments you really hope that there’s someone for her – but as she’s a single parent, the person she has to rely on is me, I need to fill in for that role and I don’t know if I can do it. I get angry because I want her to believe in herself again, be that person that didn’t need someone to help them, bypassing the mental blocks that have crippled her self-esteem that she can’t take care of herself. When she starts talking about whether she’ll need a carer, I guiltily start thinking about needing to sacrificing my own career or helping her out – which I know makes me a bad person. But at the same time, I know that a large part of her condition is psychological now, and that physically she has improved so much compared to the beginning. I want her to see herself the way I see her and not the way I treat her. Or am I just not giving due credit to the physical effects of the ailments inflicted upon her? Either way, it’s getting more difficult, working evening shifts where I finish and get home around 10pm, to console her in the middle of the night that everything is going to be okay, trying to tell her that it is going to hurt and be painful, but you can and will get over this, to then be up and ready for 8am to take her to the doctor’s or the hospital, then go back to work after, then repeat the cycle, all whilst balancing the attempt to get further in radio, TV, wrestling, theatre or comic books, in the hope that something works out so we can one day both live without fears surrounding money. I just don’t know what to do anymore though. For her, being ripped away from our relatives (thankfully there’s Skype now, which is a strong substitute but a substitute nonetheless) and seemingly not having or wanting another partner to fill the other parental position, it doesn’t help when you have financial burdens too. Whether it’s the need for us to buy a new vacuum cleaner because the old one broke, but we can’t afford it. 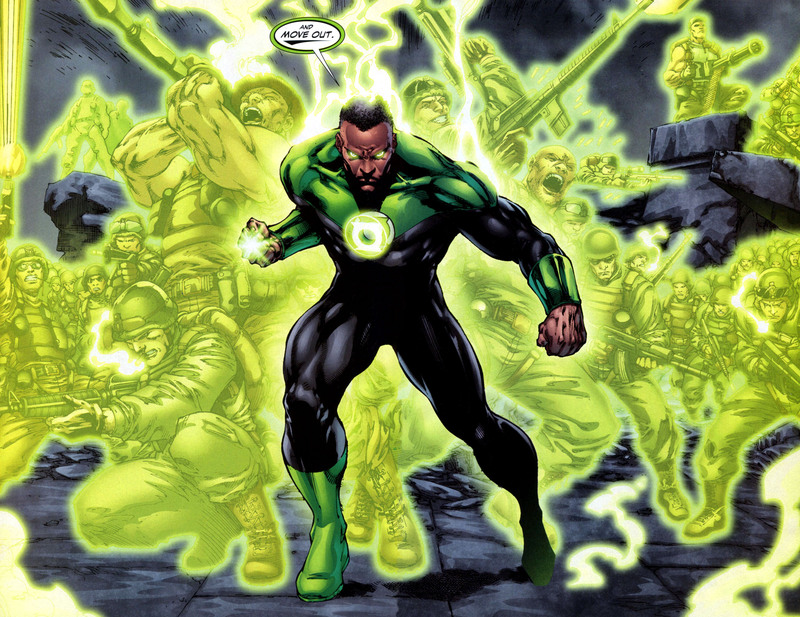 With a Green Lantern ring we could just clear the house in a snap. Whether it’s moving a lot of the broken and bulky items in our house, which is hard without a car as we can’t afford one. 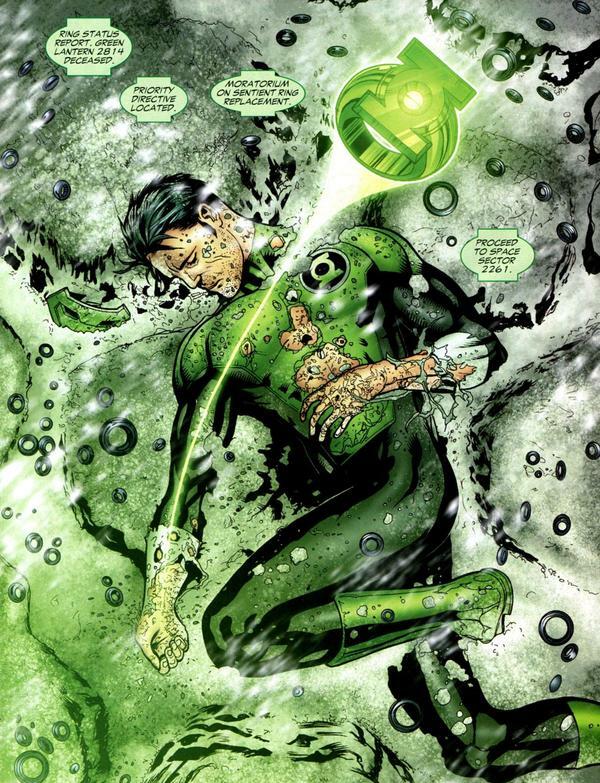 Instead of paying for the council to take it, a Green Lantern ring could just throw it into a dump or recycling centre. I want my mum to regain that confidence she once had, and I’m sure she was afraid a lot of the time and it was difficult for her to a lot of things, like single-handedly raising a family while maintaining two or three jobs. But she still did it, rising above and finding the courage to get it done however possible. It’s the same sense that embodies a Gryffindor in the Harry Potter world, being able to stand up and do what needs to be done. To have her lose that spirit now is just too painful. Before all this happened, she used to snore at night so loudly that I could hear it from my room and had to play music on my phone, listen to podcasts or the radio to try and drown the noise out. It used to irritate me to no end. Now, I hope the day comes when I can hear her snoring again, because it tells me she’s finally able to go to sleep and isn’t awake worrying or panicking anymore. On top of what’s been mentioned so far, she hasn’t been able to sleep for the past two months without the aid of any pills, which is a dangerous road itself. From everything we’ve heard from paramedics, GPs, doctors and nurses, everything we’ve seen from brain scans and treatment specialists, all signs are pointing to something that isn’t likely permanent or terminal and that her condition should keep on improving (she has improved so much physically since the initial attack). The more we’ve seen them, the more positive it looks, even if he she can’t recognise it herself. There’s a few different treatments that she’s considered to help downplay at least one of the things burdening her with the hope that by curtailing the severity of one of the illnesess, it might help to speed up the recovery process overall. I don’t know you but your post really struck me. Mothers are special and it really touched my heart to read about you being totally honest about what you’ve gone through. Your Mum sounds like a strong independent lady who has been through so much, and it must be difficult to see her through this troubling time. I hope that her health both physical and especially emotional return to her original vigour. I hope that in the future, you will look back at these trials with a sense of pride and admiration at overcoming them – the same way you look at all the other past hardships. Your strength of character, shown through how you even consider giving up your job to ensure her well-being an option (even in passing), and how you want to hear her loud snores again, are evidence of the pillar of strength and support you are to her. Keep being you and continue loving each other the way you do. I hope that everytime you feel lost or confused about what to do, you find a strength within you to keep going and supporting one another. Also please remember that no matter how helpless you feel, you’re not alone. All you need to do is ask and a bunch of people will happily volunteer themselves – even if the only thing that they can offer is a listening ear. With regard to your final worry of whether her mental outlook will recover, with a son like you and surrounded by other supporters who will always have her back, how could she not? The road to recovery is an uphill climb but the view from the top will be worth it. Keep at it. Thank you for that message and the support, it really means a lot.